But Himmat's consolation was that the second place secured his 2016 card. Himmat, lying fourth after the third round, shot four-under 67 that included an eagle on 16th and a bogey on 18th. Had Himmat playing in the third last group simply parred and then waited, he may well have won in regulation. Into the play-off, World No. 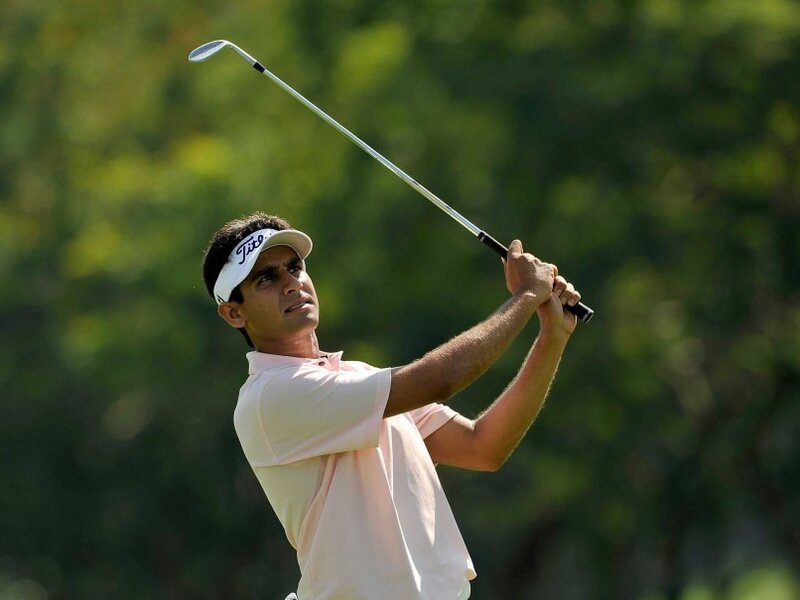 12 and 35-year-old Spaniard parred the second extra hole at The Bluffs Ho Tram Strip to pip a courageous Himmat to the title after Chinese Taipei's Lin Wen-tang and Thai veteran Thaworn Wiratchant had bowed out earlier in the richest full-field Asian Tour tournament this season. Garcia's 23rd career Tour victory and his first since January, 2014 came with a cheque of USD 270,000. Among other Indians, Rahil Gangjee (67) leapfrogged to Tied-21st place, while Jeev Milkha Singh (70) finished Tied-26th. Gaganjeet Bhullar (73) was Tied-44th and Khalin Joshi (75) was 63rd. Shiv Kapur, Rashid Khan, S Chikkrangappa, Jyoti Randhawa, Shubhankar Sharma, Arjun Atwal and Chiragh Kumar missed the cut earlier. Himmat, whose lone Asian Tour victory came in 2011, charged into contention with a birdie, birdie, eagle run from the 14th hole but rued a three-putt bogey on 18 in regulation play which proved costly. "I enjoyed it because I played really good. On the second play-off hole, I just rushed it. I wasn't feeling comfortable with my grip and I should have backed off. I was a little bit disappointed," said Rai. The 28-year-old Indian was he moved to 35th place on Money list after starting the week in 116th place. Despite missing out on his second career win on Asian Tour, Himmat with the second place secured a card and peace. He also makes the field for next week's Thailand Golf Championships. His earnings from previous eight starts were just over USD 11,500 and from this second place finish, he earned USD 111,500 to climb to 35th place as top-60 earn or keep the card.